In recent months we have had two classes go through the study of the life of David. In that study we could not leave out the story of another man, Saul. Saul was the son of a mighty man of power, a Benjamite, a choice and handsome man, and a man who was head and shoulders taller than all the others in Israel. He was the first chosen to be king. Now if you follow his story from the beginning to the end, the two do not match up. He did not finish the way that he had begun. In the beginning he was humble. For example, he asked Samuel, “Am I not a Benjamite, of the smallest of the tribes of Israel, and my family the least of all the families of the tribe of Benjamin?” The Scripture says that God gave him another heart and that all sorts of powerful signs followed him when he was anointed king. He had great military victory, and he extended mercy to many. He started off well, but in the end he was ungodly. He turned away from the One who had chosen him. He disobeyed the Holy One of Israel. He grieved and blasphemed the Holy Spirit so that the Spirit left him. He turned to a witch and the power of the evil one. He told his servants, “Find me a woman who is a medium, that I may go to her and inquire of her.” He did not finish life well. He did not continue in the Spirit. Today I would like to talk about continuing in the Spirit as individuals and as a church. We are celebrating eight decades of worship and service in this area, but will it end or will Fort Trial continue the way she started? I want to encourage you to continue the way you started in the faith and in the Spirit. I will do so from Galatians 3:1-4. I invite you to read it with me. Let me share with you the Galatian situation for just a few minutes. First of all, Galatia was a region, so we are not simply talking about one congregation, but several in a certain area. The problems they were having were widespread. Paul had traveled through this region on his first missionary journey just some twenty years after Christ had been crucified and raised from the dead. He traveled to the area which is now part of modern Turkey to plant some churches in four major cities. A couple of years later, Paul went back through that Galatian area to strengthen the churches he had planted. Not long after that some false teachers came into the region and the Galatians were swept away in their false Gospel. “First, they undermined Paul’s apostolic credibility. Second, they demanded circumcision as a condition for salvation. Third, they required observation of all Jewish ceremonies and ritual” (MacArthur, 7). The heartbreaking fact is that many of the Galatians fell into this trap of the false teachers. They turned away from the true Gospel of grace through faith in Jesus Christ to a system of rules and rituals. The Apostle was shocked that those congregations would fall prey to false doctrine so easily. Paul uses some stern language with this group of churches, “O foolish Galatians!” What was going on there was so anti-Gospel and anti-Christ that the Apostle has the word “foolish” come to mind. It is so stunning that he asks if they have been “bewitched.” This is actually how the letter begins if you can recall 1:6-7. These Galatians were not thinking. They were caught in whatever wind of doctrine blew their way. The Apostle says that the portrait of Christ crucified was clearly portrayed before them. Paul believed in the power of preaching. He believed that the Gospel that was proclaimed to these people allowed them to see the death of Christ in all of its glory, for all that it meant. That is why these people had become believers in the first place. Here is the truth of the matter: Christ and Him crucified. Set your heart on Him alone. When you heard the Gospel, believed, and committed to His lordship, didn’t your heart come alive? You found forgiveness and life. He was your first love, continue in Him. Do not turn away from your first love. What you heard then is the truth and it is life. The Gospel message of Christ and Him crucified is the only way to heaven. How did you become a Christian? Did you have to jump through a bunch of hoops? You heard the Gospel message and you believed in your mind and heart, truly in your soul that Christ had done more than enough to save you. All you did was hear. You then repented and were baptized into Christ Jesus. You had a part in all of this, but none of it was a religious work on your part, not even your baptism. You didn’t do anything but submit to His commands. You did not work, but you were worked upon. James says in 1:18 “Of His own will He brought us forth by the word of truth. . . .” The biblical principle is that all of God’s gifts and blessings come to believers by grace through faith. Works of the law, or any law (because Americans attempt to set up there own moral laws and traditions), do not usher in the presence of the Spirit, they do not make us righteous, they do not make us perfect, and, although many may believe it, they do not force God into a box that guarantees if we do “good” then God must act a certain way in response. Only by faith that is purely by grace does God bless us with the Holy Spirit. What is the difference between Law and Gospel? “. . . the law says ‘Do this’; the gospel says ‘Christ has done it all’. The law requires works of human achievement; the gospel requires faith in Christ’s achievement” (Stott, 71). Let us be clear, on the same page, with the same mind: You and I did not receive the Spirit by any works, but by the hearing of faith. Faith is the victory. Whether you received the Spirit a long time ago or in recent weeks, you must continue in Him. What does flesh mean in verse 3? The flesh is not skin and bones nor is it physical, despite our natural thinking. The flesh that the New Testament refers to is the old you. It is our old person that is rebellious and cherishes independence from any higher power whether it is parents, civil authorities, or God Himself. Romans 8:7 says, “Because the carnal mind is enmity against God; for it is not subject to the law of God, nor indeed can be.” Look over at Galatians 5:19-21. The flesh will not and in fact cannot make you perfect, but the Spirit is able and willing. 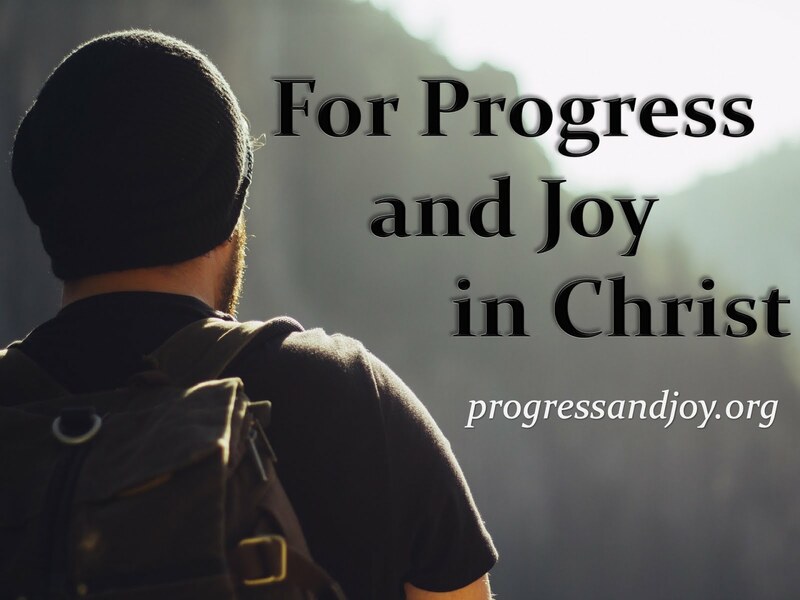 The great erroneous philosophy of Christian growth to maturity and perfection that is so prevalent in America today says that a Christian begins a new life by faith and then that individual completes the process on their own. That false teaching tells us that justification is by faith and sanctification is by working. All this does is set aside the grace of God. It nullifies the cross and the work of Christ for our redemption and righteousness. If we must complete the salvation process, then Christ has not done enough and He will not receive all of the glory. Let me assure you of one thing, Christ has done enough to save you now and for eternity. “God helps those who help themselves” is not a verse in the Bible. The biblical principle is God helps those who cannot help themselves. We are all fallen, sinful, rebellious beings. The flesh (old person) can produce a very rigorous morality, but that only nullifies what Christ has done. It thwarts the grace of God. So the question is, are you relying on God or yourself? Galatians teaches that we rely on God in the beginning and we rely on Him for eternity. This was the issue of the first sin in the Garden. What did Satan cause Adam and Eve to do? Lust for independence. This is the great sin of mankind. You began in the Spirit. Do not think that you can now turn to something else? Do not allow yourself to fall into the vicious traps of idolatry, lust, pride, stubbornness, arrogance, or any of the like. Those who endure until the end will be saved, those who endure in the faith and continue in the Holy Spirit. “Suffered” refers to all of the Galatians life experiences since they were born again. All of the wonderful things they had experienced by the power of the Spirit in their lives would be useless if they did not repent. All that they had suffered at the hands of the world would be in vain if they continue to follow the false teachers. Anything but Christ, the Spirit, and faith is vain. Do you remember the story of the Apostle Peter? He was the one who immediately dropped his net when Jesus called him to discipleship. He was the spokesman for the group of apostles. He was the first to say, “You are the Christ, the Son of the living God.” He did great things in submission to the Lord Jesus and in the power of the Holy Spirit, but he also had his short-comings. He had the faith to leap out of the boat into the water to walk on it, but he soon took his eyes off Christ. He was given the supernatural insight that Jesus was the Christ, but he attempted to deter the divine plan of redemption. He was willing to fight and die for Christ in the Garden, but he later denied Him three times. Peter’s story has many ups and downs, even later into the New Testament times. At one point, Paul calls Peter out publicly for his hypocrisy. Yet, from beginning to end, Peter continues in the Spirit. When he fell short, he repented. He did not try to fix things on his own, but leaned on the Lord for strength. This is what we must do as individuals and as a church. Continue the way you started: by faith in Christ and in the power of the Spirit. 1) Christ has been portrayed to you in the preaching of many ministers in the past 80 years. That message is the truth. Do not take your eyes off of Him. Hold fast to the Gospel truth of Christ and Him crucified. Do you remember what the Apostle told the Corinthians? He said, “For I decided to know nothing among you except Jesus Christ and him crucified.” Do not turn away from your first love when you found the Savior. 2) Faith is the victory. Remember that you came to Christ in the beginning by faith and nothing more. You simply trusted that what He had done was enough to save from this present wicked age and from the wrath to come. Salvation is from faith to faith, faith in the beginning and faith until the end, faith and nothing but faith. 3) When you came to faith you were indwelt by the Holy Spirit of promise. He regenerated you, He has worked in you, and He has established you in the faith. Continue in Him. Follow His lead. Keep in step with the Spirit and you will be saved. But turning away will leave you vulnerable to the world and its ruler, the devil.